The Technica Pen's smooth, pigmented ink is delivered through a long-lasting tungsten carbide roller tip delivery system, guaranteeing a consistent line from the first drop of ink to the last. The ink is acid-free and archival for sketching, drawing, manga art, and much more. The Hybrid Technica is available in four line sizes. 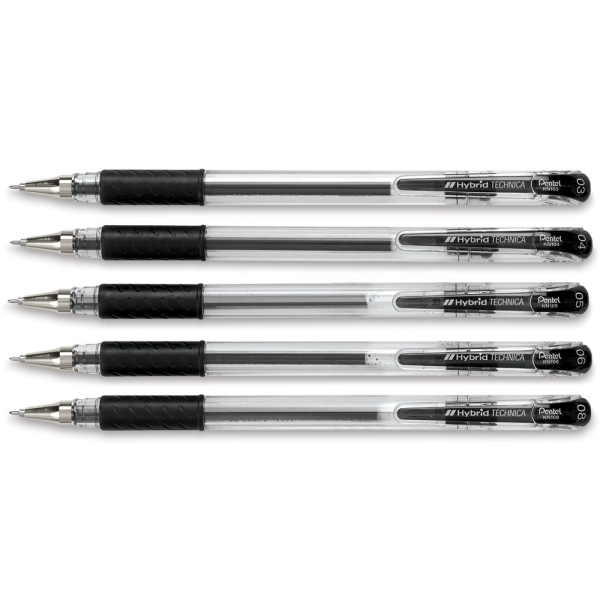 Set of 5 — Includes one each of 0.3 mm (Extra Fine), 0.4 mm (Fine), 0.5 mm (Medium), 0.6 mm (Bold), and 0.8 mm. 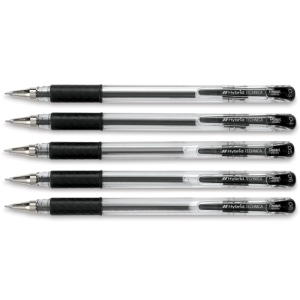 ® Pentel is a registered trademark.™ Hybrid Technica is a trademark.